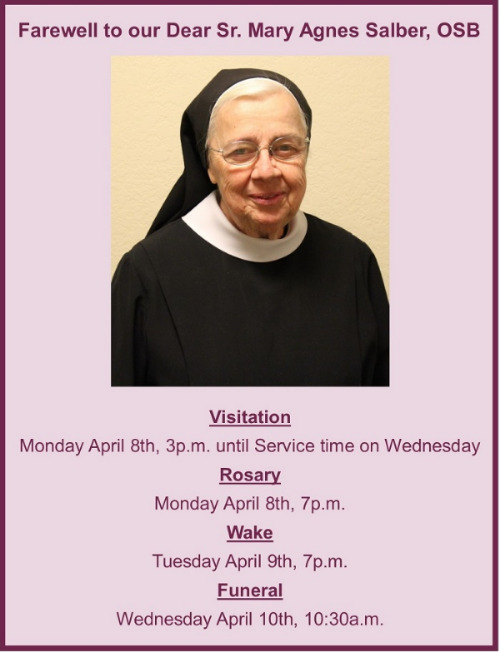 Join us in prayer (or in person if you can) as we send off Sr. Mary Agnes to her heavenly home. May she rest in peace. All of this will take place at Immaculata Monastery.